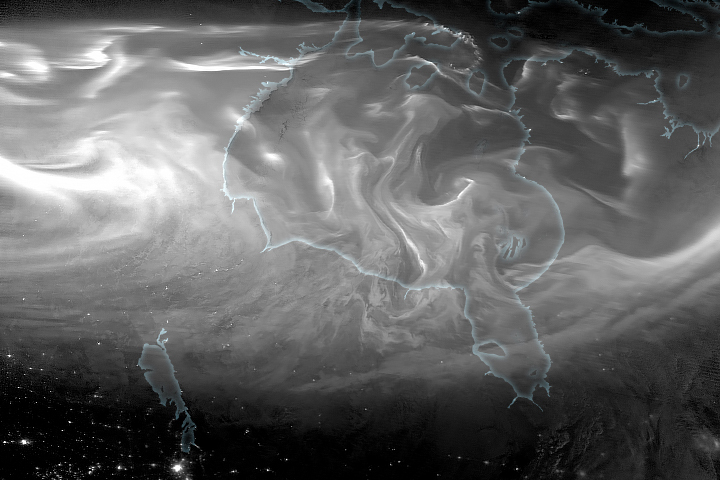 A stunning aurora appeared over Hudson Bay in March, historically the most geomagnetically active month. 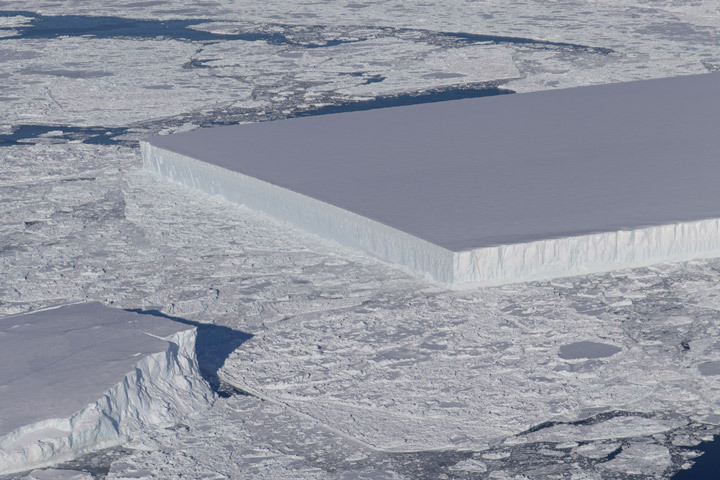 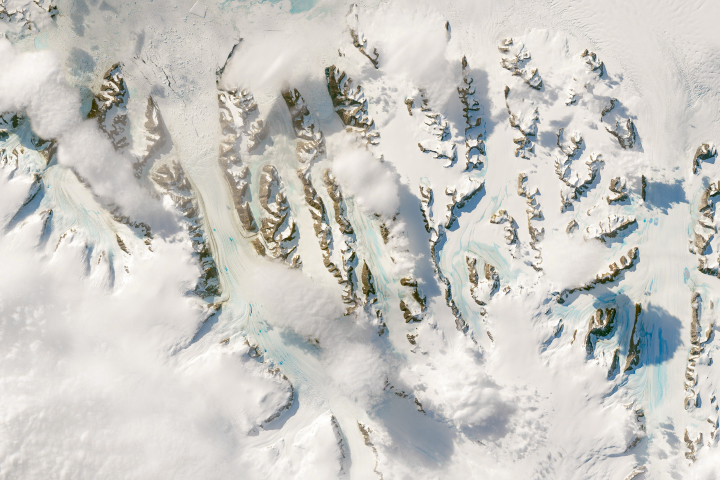 A sharp-edged rectangular iceberg floats near the Larsen C ice shelf. 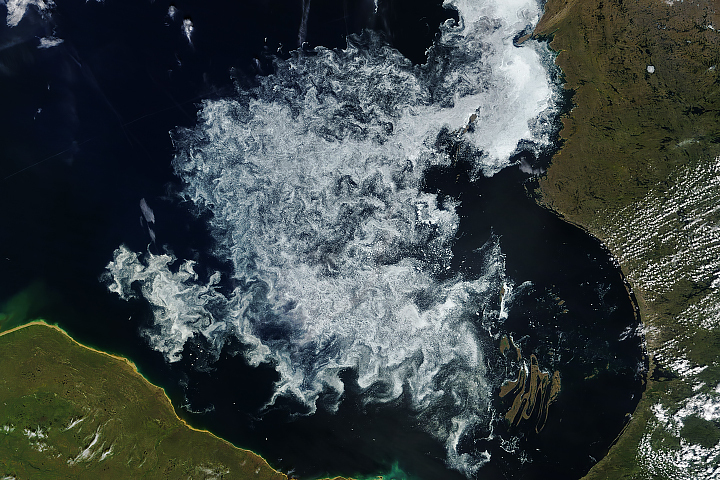 Sea ice can linger on Hudson Bay into the summer, but it is usually gone by mid-August. 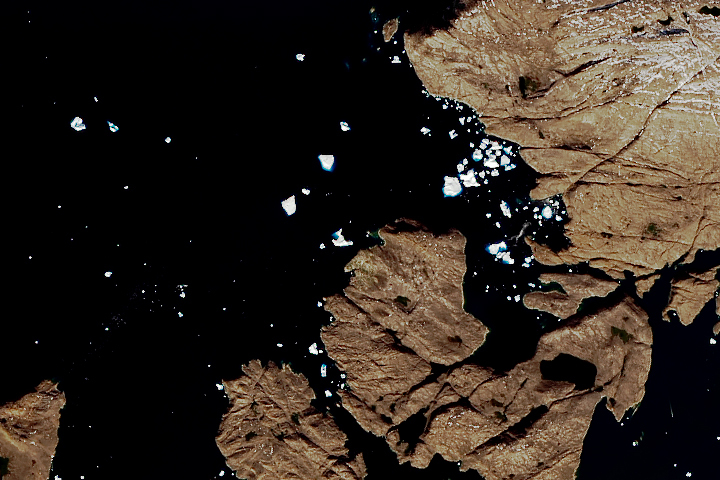 In July 2018, an iceberg weighing at least 10 million tons parked just offshore of a small island village in northwestern Greenland.